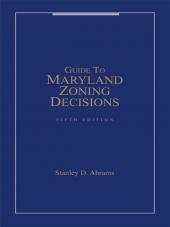 Solve your next zoning law puzzle with the premier reference on Maryland zoning laws. This Fifth Edition of Guide to Maryland Zoning Decisions answers the often complex questions associated with land use and zoning law. Topically organized and updated with annual supplements for quicker research, this reference makes it easy to pinpoint specific issues at the turn of a page. Solve your next zoning law puzzle with the premier reference on Maryland zoning laws. 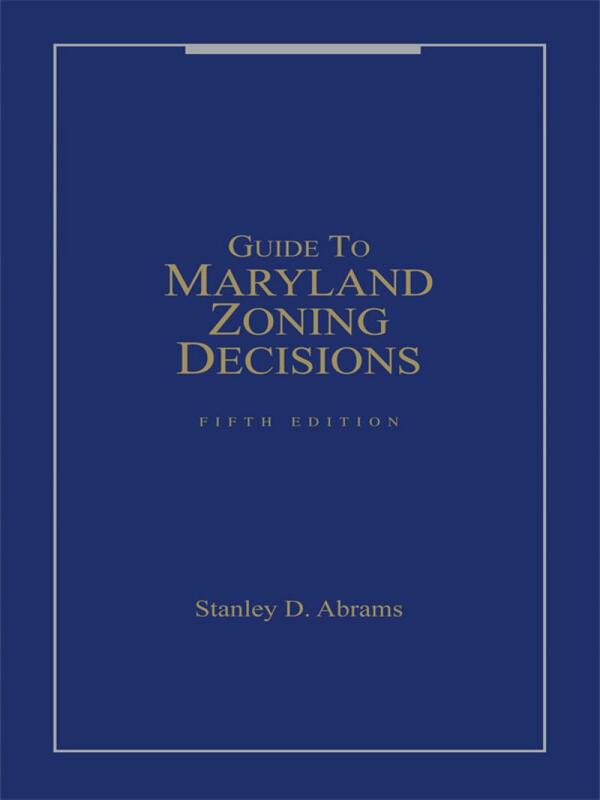 This Fifth Edition of Guide to Maryland Zoning Decisions answers the often complex questions associated with land use and zoning law. Topically organized and updated with annual supplements for quicker research, this reference makes it easy to pinpoint specific issues at the turn of a page. 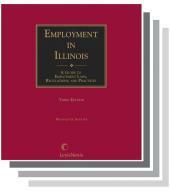 The book contains the most up-to-date citations and case law available to aid in preparing for zoning, special exception, and related administrative hearings in Maryland. For further ease of reference it contains a comprehensive Table of Cases and descriptive Index. Important topics covered in recent updates include conditional zoning, environmental issues, zoning by plebiscite and referendum, impact fees, exhaustion of administrative remedies, zoning of annexed property, and special exceptions, conditional uses, and variances to name a few. Stanley D. Abrams is a member of the firm Stanley D. Abrams is a member of the firm of Abrams & West, P.C. in Bethesda, Maryland. He has published articles on various aspects of planning and zoning, and is the author of How to Win the Zoning Game and Co-Author of Handling the Land Use Case. He serves as consultant to several municipal governments and was previously Zoning Hearing Examiner for Montgomery County, Maryland. 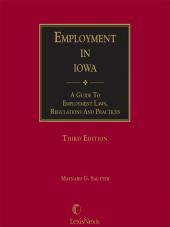 A member of the Maryland and District of Columbia bars, he received his LL.B. from the University of Maryland. He is also an active private practitioner with over 40 years of experience in the fields of Zoning & Land Use.